Well,although we bring together free font collections time to time we decided to share a free font everyday and today’s free font Goral is designed by Ofir Shavit. 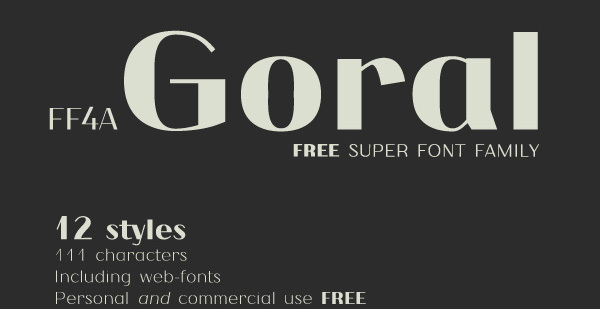 Goral is a 12 styles free super font family. Didot inspired, sans + serif + wide all in four weights.